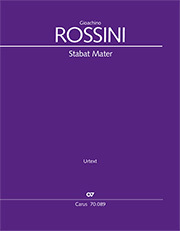 The Stabat mater occupies a special place in Rossini’s output: it was written over a ten-year period in two phases of composition (1831–41). 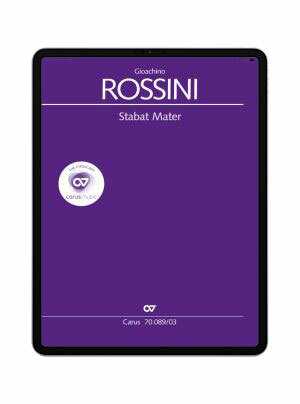 In this work Rossini uses the typical musical means of chromaticism and sighing motifs to express the pain of Mary’s suffering on Jesus’s crucifixion. The choral highpoint of the composition is the spirited concluding fugato in which the mourning, lamenting introductory music of the opening movement is woven in, in richly varied fashion. But the greatest challenge for the choral singers lies in doing justice to the different styles of the movements – from the sacred to the operatic.